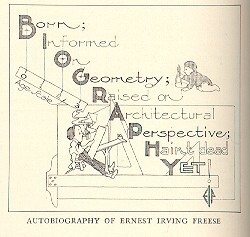 Ernest Irving Freese must have been a fascinating man, judging from his "autobiography", which appeared in Pencil Points in March, 1930. I have recently been able to locate his "lost manuscript", Geometric Transformations, and I plan to feature selections from it in my next book. 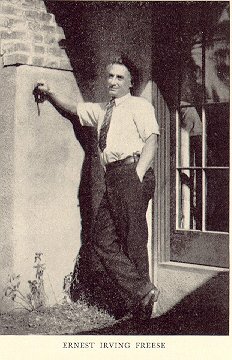 Also check out some additional information on Ernest Freese. Graphic and photo from Pencil Points. Other material: copyright 1998-2003, Greg N. Frederickson. Last updated June 2, 2003.